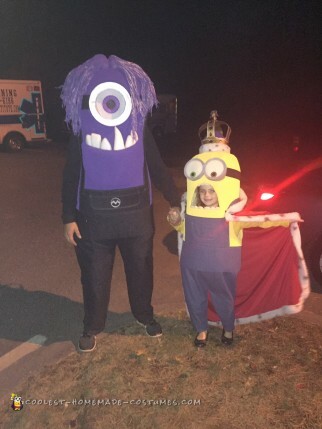 You don’t have to speak Minionese to wear these awesome costumes, but it definitely helps. 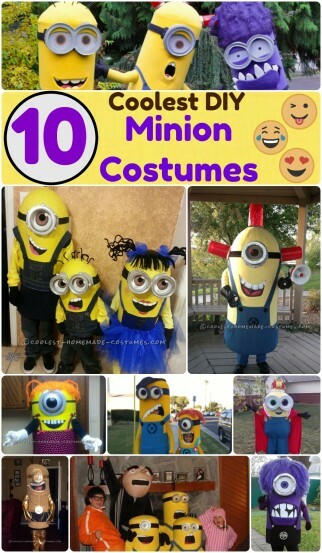 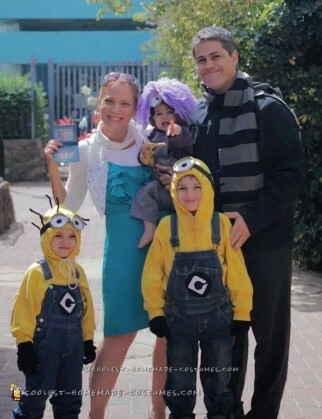 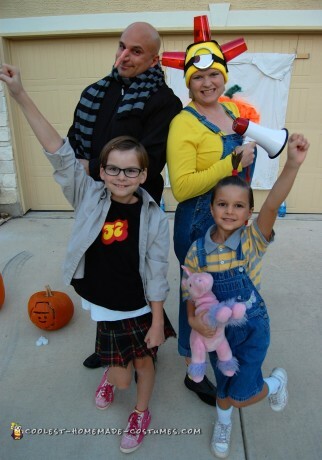 Funny and lovable, you will have so much fun creating these DIY Despicable Me and Minions costumes. 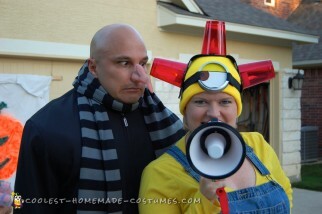 There is something about those domed heads that simultaneously makes us laugh and want to hug them. 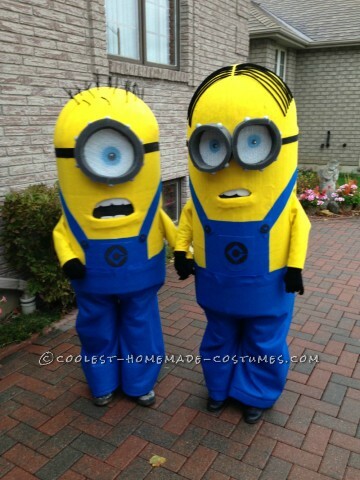 Once you see these, you will have a hard time resisting making them for Halloween this year. 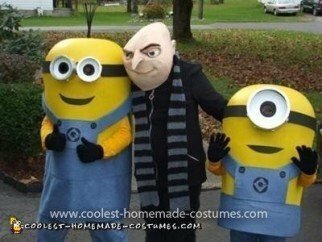 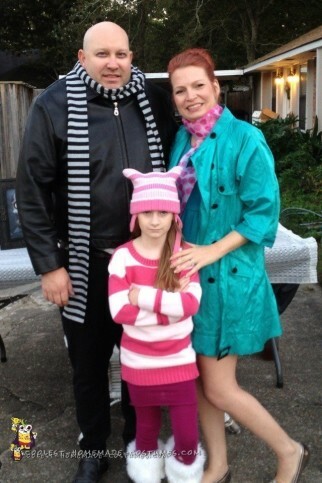 There are so many creative takes on recreating Gru (it helps if you have a bald head) and the Minions. 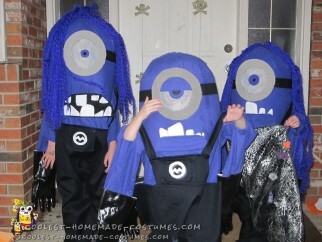 And when you get a group together, you can share in the costume making and hilarity. 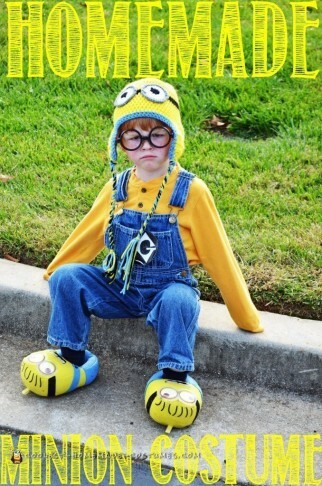 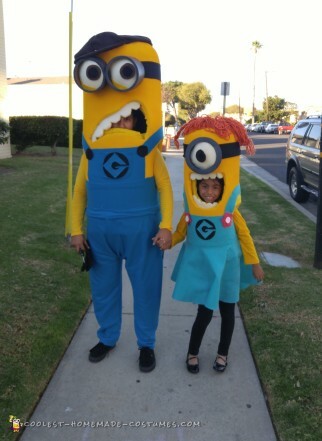 Minions come in all shapes and sizes in this collection of Despicable Me and Minions costumes. 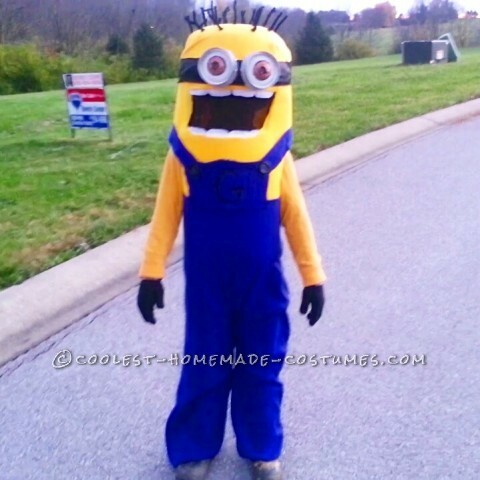 All the construction secrets are revealed here! 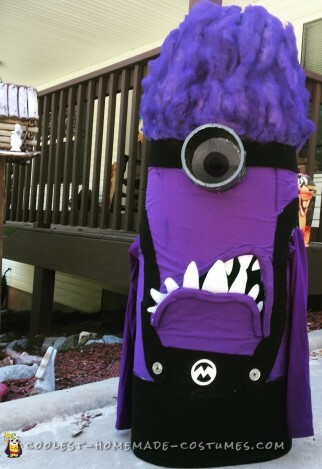 Get inspired to create your own evil Gru, nonsensical Minion or even Kyle Dog. 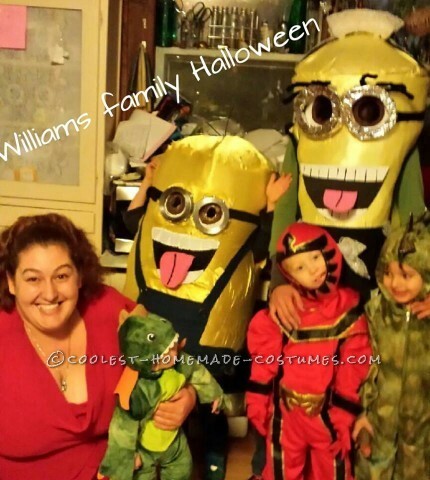 You will even see a Minion Batman and a 3PO Minion. 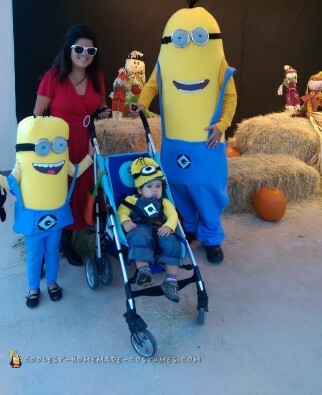 So sit back, grab some bapples and get ready to laugh at this super fun selection of Despicable Me and Minions costume designs. 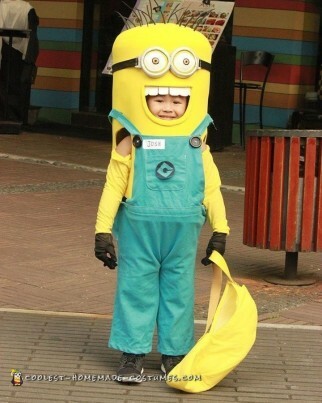 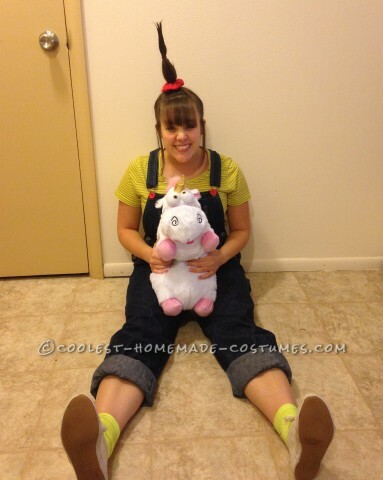 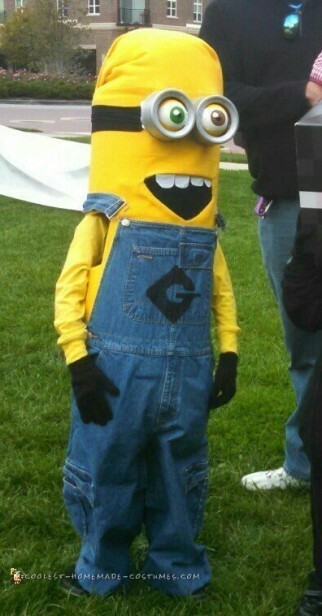 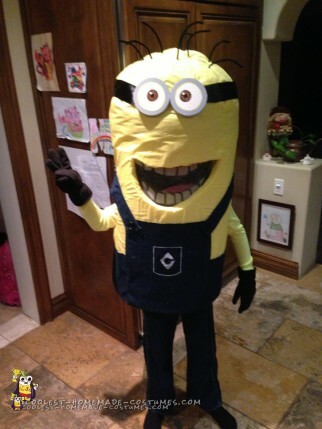 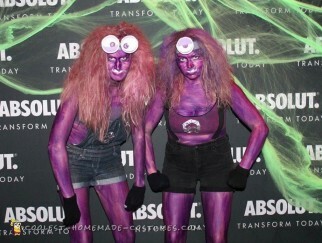 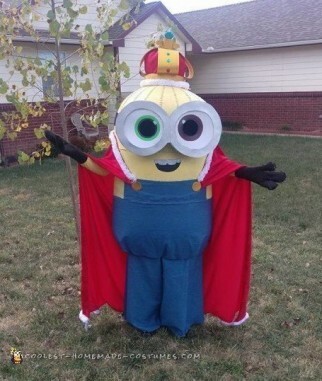 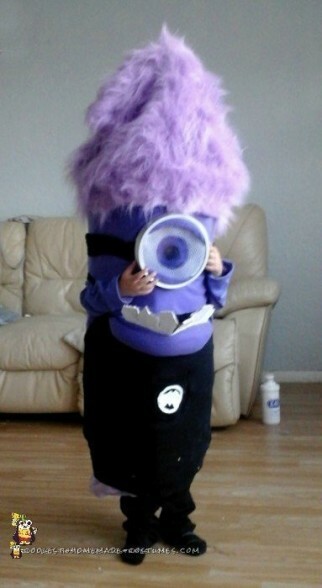 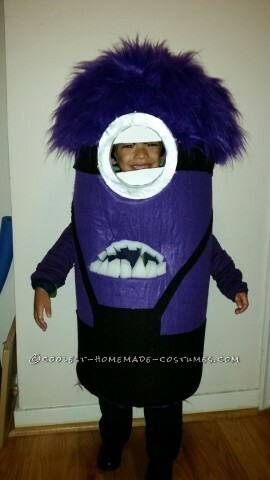 Cutest Evil Minion Costume Ever!